American Athletic Conference volleyball begins conference play this Friday, with Tulane facing Southern Methodist University in Dallas. 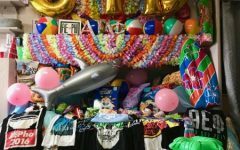 The Mustangs entered the season as reigning AAC Champions, while Tulane entered ranked eighth out of 12 teams in pre-season conference rankings. But going into Friday, Tulane has the best record in the AAC and a perfect 8-0 record at home. Second-year coach Jim Barnes led Tulane to its first winning season since 2013 last year. For him, the team’s focus is not on the success it has had so far, but on its next game against SMU, a potential revenge match. “We lost by two points last year in the fifth set, so we nearly knocked them off last year, and I know the girls are anxious to get on the road and compete,” Barnes said. 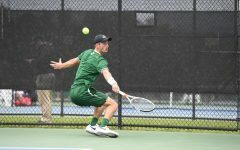 Looking back on what the Green Wave has achieved achieved plenty of success so far, including this weekend’s tournament win at the Tulane Invitational. 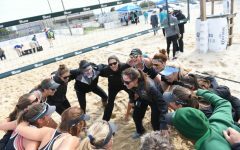 Tulane played host to three other teams and beat each of them, claiming the tournament title. 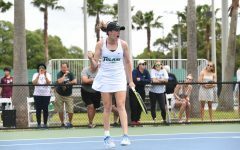 It was Tulane’s second tournament win of the season and extended the team’s winning streak to six games. “I think the team always has the energy to win … I think every school is happy to now be getting to single matches and not playing three matches in two days, which is a big grind, especially when we’re playing a young team,” Barnes said. The Green Wave is currently on its longest winning streak since 2013, when the team opened its season with 10 consecutive wins en-route to a 28-4 record. 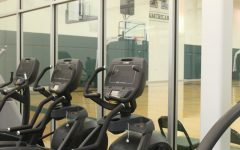 That was the Green Wave’s last season in Conference USA before joining the AAC, and since then the school has never finished above .500 in conference play, with its best being a 10-10 record in Barnes’ first season last year. The team has much higher hopes for this season. “Right now we have the best record in the conference, and right now our goal is to win it,” Barnes said. 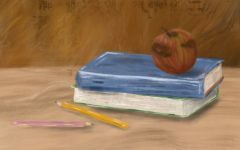 With Tulane’s strong start to the season, the doubts that came up at the beginning of the season are slowly beginning to fade in the minds of critics. 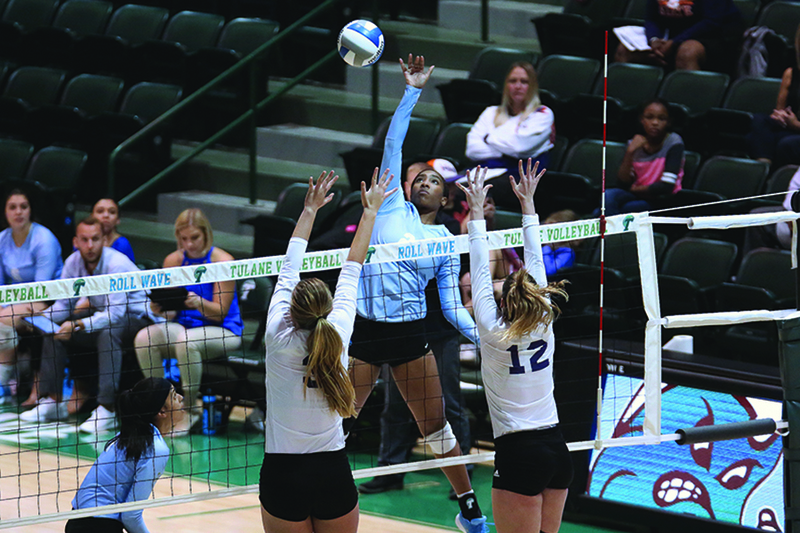 Tulane entered the season having lost five seniors from last year’s roster and brought in six freshmen, creating an exceptionally young and less experienced roster. Going into the first conference game, however, these young players now have the collegiate experience they had been lacking at the beginning of the season. Barnes prides the team on such a successful start to the season, especially with the large number of freshmen balancing adjusting to college with their time on the team. 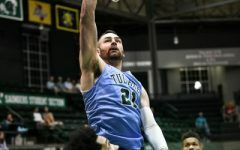 Tulane will play SMU and Tulsa on the road Friday and Sunday, respectively, before returning home to face Temple at Avron B. Fogelman Arena in Devlin Fieldhouse on Sept. 29.